A two day charity event where the music, gastronomic and artistic wealth of our island are presented at the beautiful village of Oia. Taste delicious food, and observe the exhibition of old photos and traditional costumes on display. 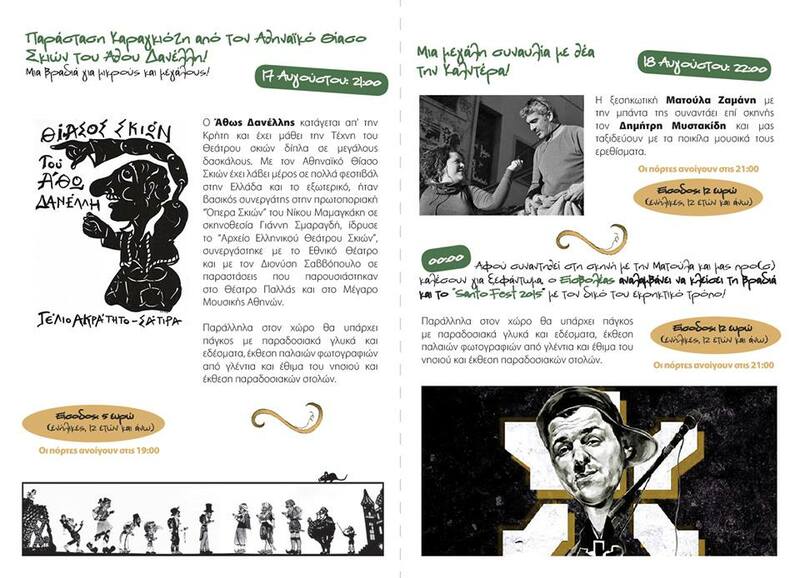 Today the Athens Shadow Theatre is performing for young and old, at 20.00. At Oia Desalination Plant. Organised by the Oia Youth Initiative..